If you don’t know about ChatOps already, the term ChatOps was coined somewhere between 2010 and 2013 by the team at Github when they were creating HUBOT. If you haven’t heard of ChatOps, don’t worry, there is plenty of information out there on the topic. ChatOps uses a Chatbot, which you have probably used in one way or another, maybe to book a room, to interact with customer service, or to get information in a chat service of your choice. Almost all platforms – from Facebook and Google Hangouts to Twitter, Slack, and others – have Chatbots. Unlike traditional Chatbots or customer service Chatbots, ChatOps is primarily used by the development team to automate tasks throughout the operations infrastructure and the organization. 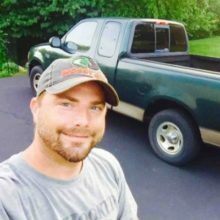 Here are a few links to get you started if you are not already familiar. For me, ChatOps came far earlier than 2010. Back in the late Nineties, there was a chat system prior to AOL called IRC (internet relay chat) that I believe is pretty much a replication (some might say a copy) of IRC. Users of IRC and channel operators would develop IRC chat bots to serve files, mp3s, videos, and pirated software, as well as to log or respond to information. A great majority of these IRC bots used a framework called EGGDROP, which was written in a language called TCL (I always pronounced it tickle) and can be found at https://github.com/eggheads/eggdrop. For this project I chose to go in a different direction. 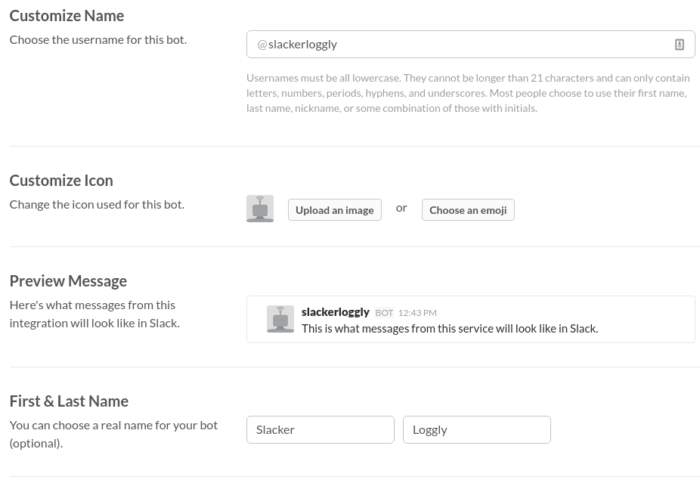 Why Build a ChatOps Bot with Slack and Loggly? ChatOps help you interactively automate tasks while keeping track of things, and it assists in collaboration between you, your developers, and your team. As your organization grows, more applications are added, and by integrating cloud-based logging into your applications, you end up having a real benefit for being able to monitor things. There are tools for application monitoring, tools for automating development operations, and tools for gathering data and statistics that are readily available. Unfortunately, while these tools produce a great deal of automation and data, they are not interactive. For groups troubleshooting problems, it makes collaboration difficult without something like ChatOps. In ChatOps, everyone can see the same thing at the same time. 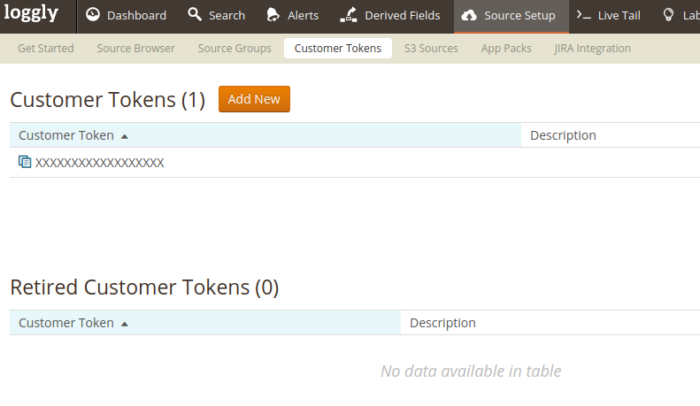 It really provides a good way to collaborate with information in a team while automating the integration between systems. Here are just a few example use cases. You are an application developer and need to search for logs in staging/production for your app and are currently within the slack interface. Your team is troubleshooting a problem in a Slack channel and you want everyone to see the specific logs around the problem. It is a good way to collaborate when everyone can see the search query and then subsequently update the search to get more specific logs. (With Loggly Live Tail, you can even stream those logs directly to Slack in real time. You want to provide the team with the ability to log what they are currently working on easily without dealing with multiple systems. You want to monitor a variety of systems interactively and trigger multiple tools and provide an added layer of orchestration. In my quest to build a simple ChatOps bot for Loggly and Slack, I came across a variety of existing frameworks written in a variety of programming languages with a variety of different architectural points of view. At first I thought this might be a good time to pick up a YAL (yet another language) like Go or Lua, but I came to the conclusion that I would rather get something functioning first and then go back later to revise it. I then went to use Python but realized that I could probably get something going rather quickly with Node.js. For better or worse, Node.js has a huge amount of libraries readily available and pretty much works everywhere. Code for this post can be found at https://github.com/trorabaugh/slackerlogglybot. For this project I selected the Botkit framework because it’s a pretty simplistic framework in terms of the codebase, has few dependencies, and I happen to have a virtual machine lying around with Node.js already installed. I would urge you to take a look at Hubot and others from both the architectural standpoint and because of the general overall support offered by the development community. With Hubot, there is also a Slack library and adapters for other types of messaging platforms. That being said, Botkit was pretty easy to get going. After you walk through the steps, you will be given an API token. Keep the @<name> of your bot as you will need it later on. Provide the background information on your bot and give your bot a name just like a regular user and fill out the rest of the information. This will help you understand a little bit about how the bot works. Without going into a huge amount of detail, the bot “hears” specific phrases that match with code that runs. By now you should have your tokens and a basic environment setup either by cloning or installing Botkit, or if you want a simpler method, just clone the code repo at https://github.com/trorabaugh/slackerlogglybot and run npm install as it will install all necessary dependencies. Then update the /lib/botconfig.js with the appropriate tokens and authentication information. Right now the output sent back to Slack for the search results isn’t pretty as it produces JSON that is formatted versus displaying a nice pretty table but we can worry about cleaning up the way it displays within Slack later. We can also add a variety of custom parameters to the command like how much time to search, tags, and anything that the Loggly search endpoint accepts. With Loggly, you also have a quick solution that doesn’t require you to dive directly into code and provides immediate log visibility in Slack until you get your ChatOps bot up and running. With Loggly Live Tail (an Enterprise feature), you can create a Slack channel specifically for your log data. Your logs will display in a similar way as a tail -f would from a Linux command line. Live Tail uses a command line utility where the output is sent directly into Slack. 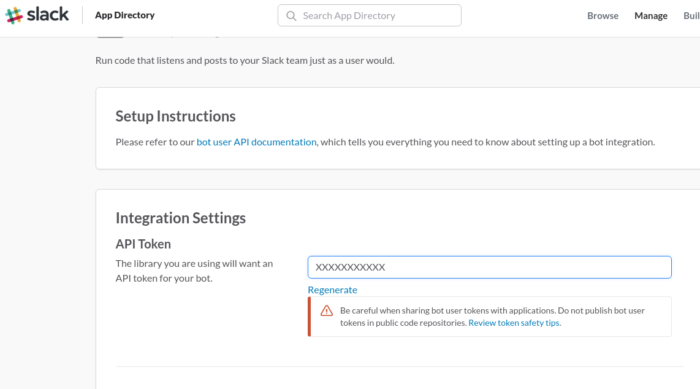 The documentation gives you directions for using the Slack webhook API to send your data. All it requires is a few small installations of tools and some configurations. You can customize the way that the bot “hears” a command by using regular expressions or extend the way that commands and actions are found. One note about real-time logging and searching in Loggly. If you immediately log and then search right afterwards, you may not find the event. It takes a little bit of time for the event to be made available to be searched. This shouldn’t be a big problem if you are simply logging and then searching a second or two later. There are a ton of other automated tasks that you can do using ChatOps, whether it is for automating deployment or even logging what tasks your team is doing and where. In our next post, we will work on having the ChatOps bot log messages when spoken to. For more information, check out the code repo at https://github.com/trorabaugh/slackerlogglybot. So how did I end getting into ChatOps? As a kid, I played a lot with IRC and created bots using Eggdrop and Perl that did a variety of interesting things. I guess technological ideas seem to repeat themselves because it seems today, social networks and collaboration platforms are a lot like IRC. I’ve held a variety of positions in my career ranging from consulting, management, software engineering, dumpster diving, living in a data center on a cot, and helping startups.